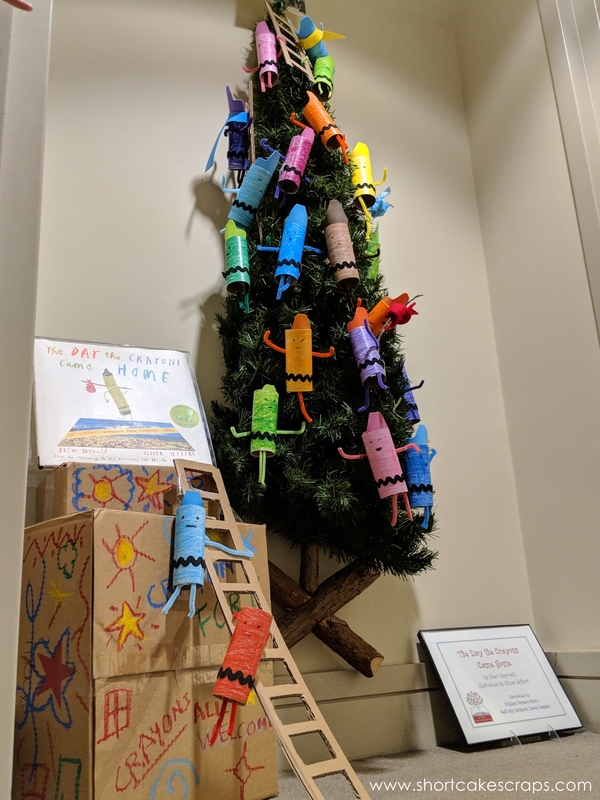 The Concord Museum in Concord, Massachusetts has a special exhibit during November and December called “Family Trees: A Celebration of Children’s Literature“. During the holiday season, the museum is filled with about 30 or so trees that are decorated by original ornaments based on children’s storybooks. Volunteer decorators use their imagination to dress up the trees based on a story’s theme, illustrations, or characters. Our daughter’s kindergarten class took a field trip there and she enjoyed it so much that she wanted to go back so that she could show me her favorite trees. It really was quite an amazing and inspiring exhibit! So much creativity was poured into making each tree a work of art. Sometimes there are little perks for being a blogger that talks about food whether it’s about making it, eating it, or reviewing it. At times it has been being recognized for a restaurant review and treated to free apps on a second visit. And at other times it’s something as simple as multiple visits to my blog via a Google search for a new restaurant. 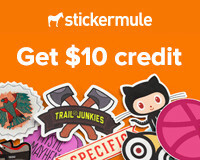 As a Foodbuzz member, sometimes those perks come by way of something called a “tastemaker outreach”. Let me explain. For my birthday this year, my super thoughtful husband shopped from my Amazon wish list (have you made one yet? You should check out their universal registry button. Awesome.) and bought this Lotta Jansdotter book of patterns for me. I added it to my wish list the minute we found out we were expecting hoping that it would motivate me to use up some of my fabric collection on something useful: cute baby clothes and toys. While writing this post, I was debating on what to use as a “title”. You know, something discreet and diplomatic despite the fact that this project has taken almost two years to finally come to fruition. I mean, publication. So minus any flattering [insert sarcasm here] remarks I could say about the authors and publishing company, I present to you … Thank You Notes: 40 Handmade Ways to Show You’re Grateful … now available on Amazon.com! It’s the second book published by Hollan and Lark Books that I have several greeting card designs in. 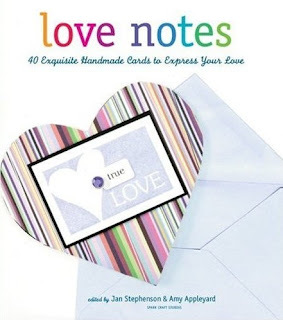 The first one was “Love Notes: 40 Exquisite Handmade Cards to Express Your Love” which was released back in January of 2008. 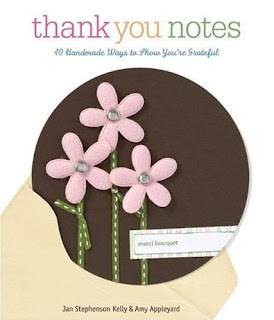 The concept of Thank You Notes came up soon after Love Notes was [finally] published as a way of continuing step-by-step do-it-yourself types of crafting books. Unfortunately, we ran into some trouble with Hollan Publishing going out of business. Then the “wait-and-see” game began with Lark soon thereafter on whether the second book would be released at all, despite all of the work that had already gone into the collecting of the designs and the shipping back and forth of supplies, instructions, and staged demos. Drama I tell you, pure drama. Alas. It is finally here. I can’t wait to get my hands on it to see if it turned out as good as Love Notes. I am a little bit disappointed that it is being released in paperback format instead of hard cover, but that makes it less expensive which is a plus. I’ll have to give you a review when it finally arrives! What do you buy a young lady who is turning 7? (Note: I’m posting this now that I know Rachel has seen my blog on her birthday and I’m assuming that she won’t see it again before tomorrow when we give her her birthday gift. Crossing my fingers here, peeps.) I guess the better question that I always struggle with when it comes to kids’ birthday gifts is what should we give to them that is not a toy or clothes? I like to aim for useful things, or things that are functional yet fun. I bought Rachel a bunch of stickers while I was at a store one day, so I came up with the idea of making her this sticker book so that she’d actually have some place to stick them to. You know, some place other than on our body parts, the refrigerator, or in a random coloring book. I used an 8″ circle chipboard album (by 7 Gypsies I think) that I picked up at Right at Home Scrapbooking a while ago, then covered each side with colorful paper. It came on the silver ring so I tied some pretty ribbon on it and added some shiny rhinestone stickers. Voila! A sticker book hopefully worthy of stickers. Also in prep for our trip out to Williamstown for the weekend, I decided to stick with the brown paper that the framed photo we were giving to Tony’s parents came in instead of fishing around for something else to use. So I whipped out my Fontwerks clear “George Outline” stamps and stamped directly onto the package. I like how it turned out – very simple, plain, and to the point. 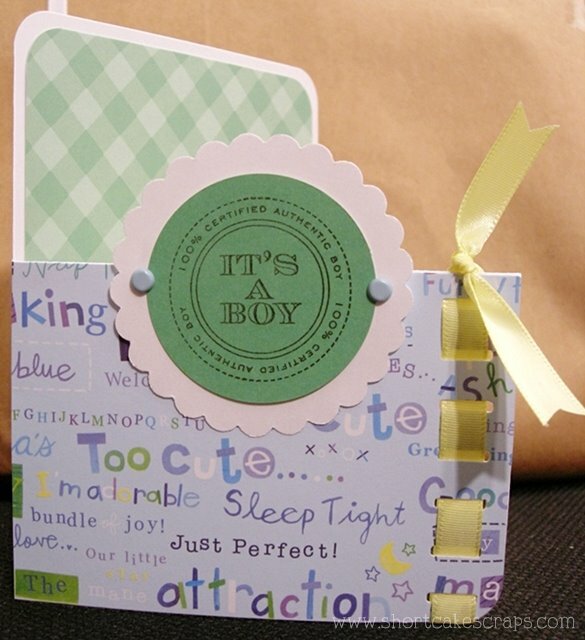 And lastly, I had put together a baby card for our friends Jen and Brian before I went to meet their new addition, Adam, last week. 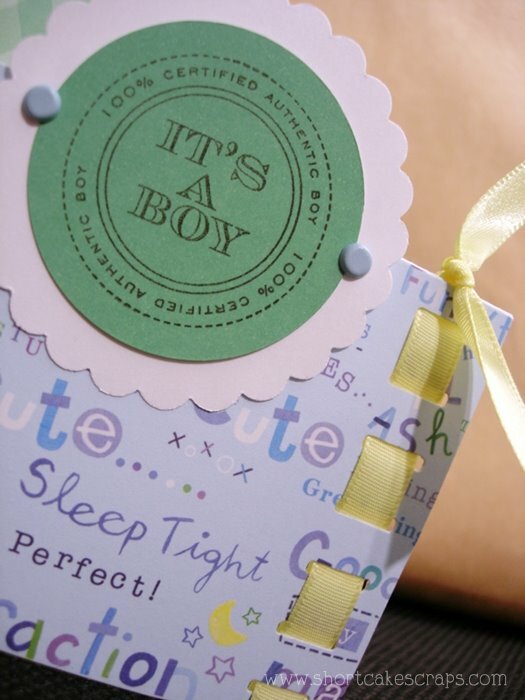 I really like how the design turned out so I made a more generic version (the one I gave them had an “a” on it) using an “It’s a boy” stamp. The cover reveals the top half of the inside of the card. Good news: “Love Notes” has been published and is now available! 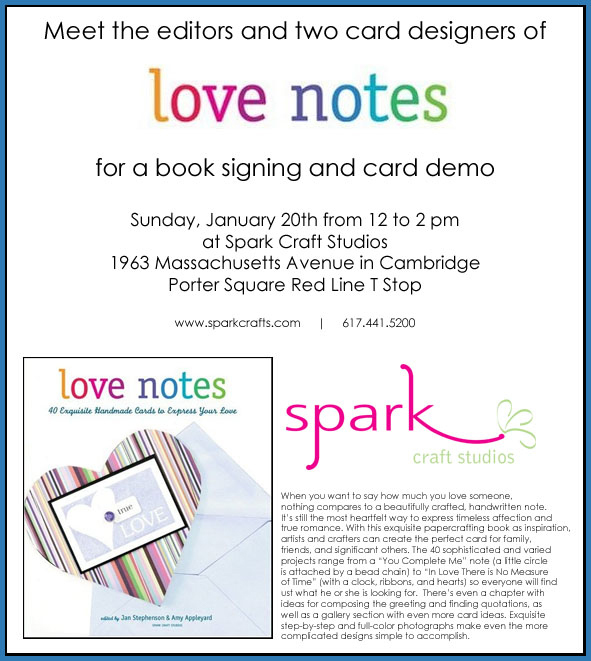 Join us in celebration of Spark Craft Studios’ first publication on Sunday, January 20th for a “Love Notes” book signing event. I’ll be there with the two editors plus one of the other card designers, Renee DeBlois, between 12 and 2 pm with treats and a card making demo. The three other contributing (and very talented!) artists are Wendy White, Kim Kesti, and Susan Weinroth. The book is also available through Amazon.com in case you can’t make it to the event but are still interested in getting a copy.